I am an award winning artist, art teacher, and author creating "Paintings of Tranquility and Peace." I also give art tessons and tips through my weekly blog! My work is represented by REMBRANTZ GALLERY in St. Augustine, FL, OCEAN ART GALLERY in Ormond Beach, FL, and JUSTABREEZE GALLERY on Tybee Island, GA. Follow me on INSTAGRAM at daradodsonart and FACEBOOK at daradodsonart.com. Interested in a commissioned piece? Contact me by email! 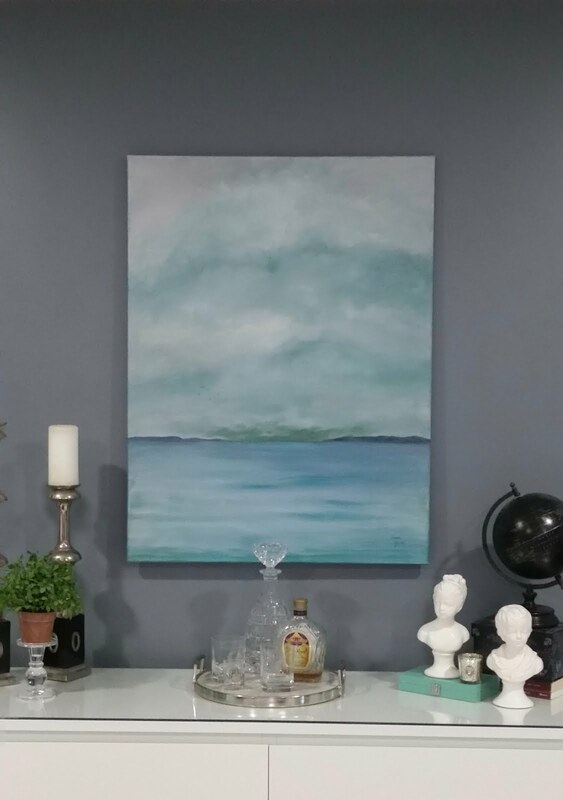 So, you've sold a piece of your art and you would like to get a photo of it in the home of the collector. How do you go about it? Just ask! Ask the collector to give their address or at least an email address to send them a thank you note. Then ask them if they don't mind, would they do you the favor of sending a photo of the piece hung in it's new home to add to your portfolio. If they are reluctant to give theirs, just give them yours, but most are very happy to oblige! And, don't forget to send that thank you note! Courtesy is a very important part of business, and selling our art is definitely building a business. People appreciate kindness and personal attention and it might even result in repeat sales to that collector, and they are more likely to tell others about your work as well! Also, you want to have a folder dedicated to these photos, either electronic or actual photos. I like to give them my artist statement/ bio and business card along with the thank you card. If they need you to hang the art it is even easier to get that photo, but that is usually the case only at a gallery or if the art is very large. So again, it is important for you to reach out to the collector and try to make that connection for future sales and promotion to other possible collectors. Until you can get actual photos of your art in the collector's home, you can do some artwork of another kind by photoshopping your piece of art into a living room setting. It can show potential collectors how that piece would look in their room! Just be sure that the setting you choose complements your artwork in style and size. Below I have a photo of one of my pieces of art in the room it was painted for. Unfortunately, when you have to rely on the buyer to take the photo they don't always look as good as your do. So you may have to pick and choose what goes into your portfolio, but by all means, keep all the photos! 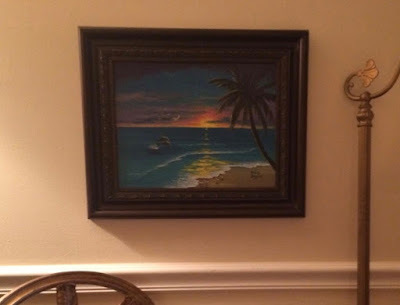 As you can see below the photo is too dark for my portfolio, but I know it is loved and hangs in a prominent spot in her home which is important to an artist, right?